B.K. Engg. 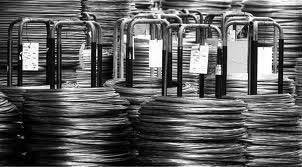 Tools Corp. is known as a dependable Manufacturer & Supplier of Spring Steels. Spring Steel refers to a group of a low alloy, medium carbon steel or high carbon steel which has high tensile and excellent yield strength. Spring Steel is one of the most popularly used materials due to its pliability, resilience and shock absorbing ability. EN-43, EN-45, EN-47, AISI-9255, AISI-6150, SUP-6, SUP-7 etc. It is used in Musical Instruments, Aircraft Components, Spring Clamps, Antennas, Springs etc.